Ed contacted us a few months back in regards to having some changes done on his current website. He needed to have a list of items completed on the site to get it updated. He won a grant through his state to have the website design work paid for, so we were awaiting for that grant to be approved. Upon approval, we worked with Ed to get the changes done to his site. We started on the site last Sunday (September 7th) and had all the requested changes completed just two days later – on September 9th. We hope that Ed has found our website maintenance services beneficial and look forward to working with him in the future on any other changes! 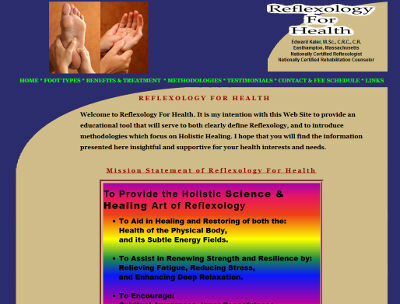 Ed’s website is at reflexologyforhealth.biz.